Being the student trustee with the binding vote is not something University of Illinois at Chicago junior Kenneth Thomas takes lightly. The political science major from Midlothian, Ill. has made it his priority to communicate with his fellow trustees – Hannah Ehrenberg for Urbana-Champaign and John Tienken for Springfield – and the student body as much as possible. Thomas has started a Facebook page as an open forum for the UIC student body to share their concerns. He also uses twitter to obtain feedback on different initiatives and holds town hall-style meetings. Ehrenberg, a senior human development and family studies major from Lincolnwood, Ill., and Tienken, a junior political science and English major from Clarendon Hills, Ill., also use social media, town hall meetings, student government and the student newspaper to gain a perspective on what is ailing students. The student trustees regularly talk though email and over the phone sharing the concerns of the students on their campus. Most of the time, Tienken said, the concerns are similar and the students are able to come to an agreement on the best course of action. Thomas then uses that information to determine his vote. Thomas, who plans on attending law school with a goal of going into politics, decided to run for student trustee after joining student government as a freshman. “I saw being a student trustee as a way to fulfill my desire to help students,” he said. The Board of Trustees, the governing body for the University of Illinois, consists of 13 members, three of which are the student trustees. The students are elected by the student body of their respective campus. One of the students is then selected by the governor to serve as the student with the official vote. 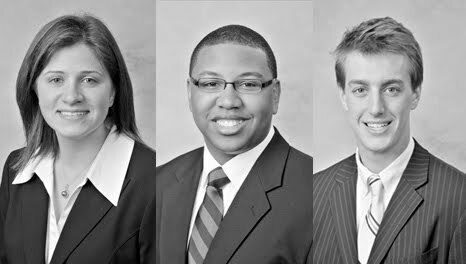 Each student trustee serves a term of one year, beginning on July 1. UIS Blue Crew ready to make some noise!